Patrick was a 5th-century Romano-British Christian missionary and bishop in Ireland. Much of what is known about Saint Patrick comes from the Declaration, which was allegedly written by Patrick himself. It is believed that he was born in Roman Britain in the fourth century, into a wealthy Romano-British family. His father was a deacon and his grandfather was a priest in the Christian church. According to the Declaration, at the age of sixteen, he was kidnapped by Irish raiders and taken as a slave to Gaelic Ireland.It says that he spent six years there working as a shepherd and that during this time he "found God". The Declaration says that God told Patrick to flee to the coast, where a ship would be waiting to take him home. After making his way home, Patrick went on to become a priest. According to tradition, Patrick returned to Ireland to convert the pagan Irish to Christianity. The Declaration says that he spent many years evangelising in the northern half of Ireland and converted "thousands". Patrick's efforts against the druids were eventually turned into an allegory in which he drove "snakes" out of Ireland (Ireland never had any snakes). Tradition holds that he died on 17 March and was buried at Downpatrick. 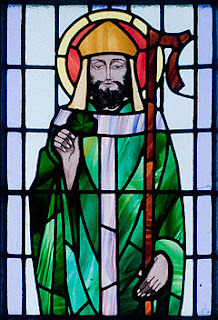 Over the following centuries, many legends grew up around Patrick and he became Ireland's foremost saint. Today's St Patrick's Day celebrations have been greatly influenced by those that developed among the Irish diaspora, especially in North America. Until the late 20th century, St Patrick's Day was often a bigger celebration among the diaspora than it was in Ireland. Celebrations generally involve public parades and festivals, Irish traditional music sessions (céilithe), and the wearing of green attire or shamrocks. There are also formal gatherings such as banquets and dances, although these were more common in the past. 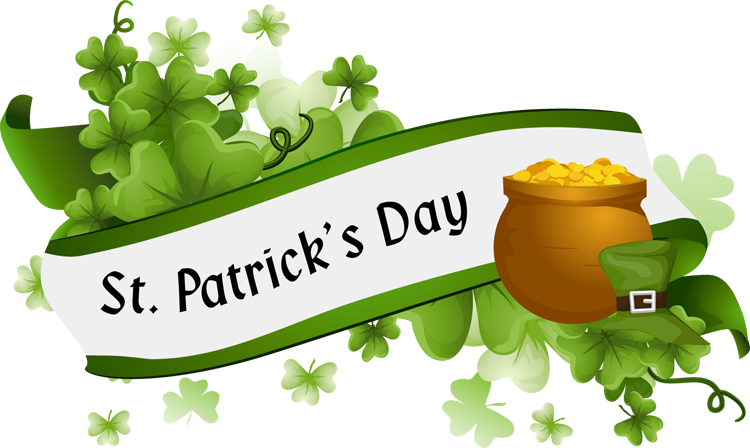 St Patrick's Day parades began in North America in the 18th century but did not spread to Ireland until the 20th century. The participants generally include marching bands, the military, fire brigades, cultural organisations, charitable organisations, voluntary associations, youth groups, fraternities, and so on. However, over time, many of the parades have become more akin to a carnival. More effort is made to use the Irish language, especially in Ireland, where the week of St Patrick's Day is "Irish language week". Recently, famous landmarks have been lit up in green on St Patrick's Day.